Since I was close to Grocery Outlet when I went out to Walgreens I stopped in to get a few items. I was so happy to see they had some soy yogurt because this is a great treat for my kids. I’m glad that you found some yogurt for your kids! 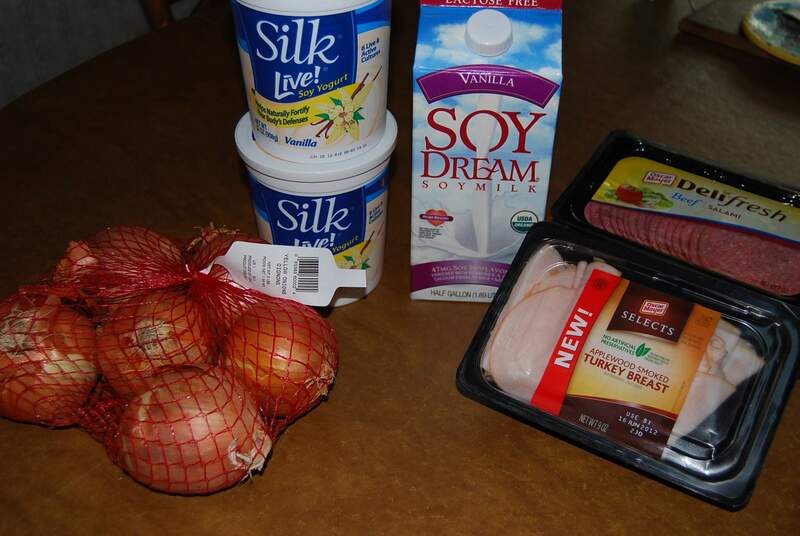 I’ve never had soy yogurt before…how do you like it? It is definitely more tangy than the regular yogurt but since my husband and kids can’t have milk it is a good substitute. We tried the goat milk yogurt way to tangy for us. I usually make it but since I found it at a good price I just bought it this time.